Gold pearl bead is wrapped in red coral and aqua peals. The clasp is a butterfly. Explanation of the necklaces properties: gold promotes wisdom and happiness as well as clear thinking that increases intellectual energy. Aqua amplifies easy and clear communication. Red amplifies energy to act with confidence. 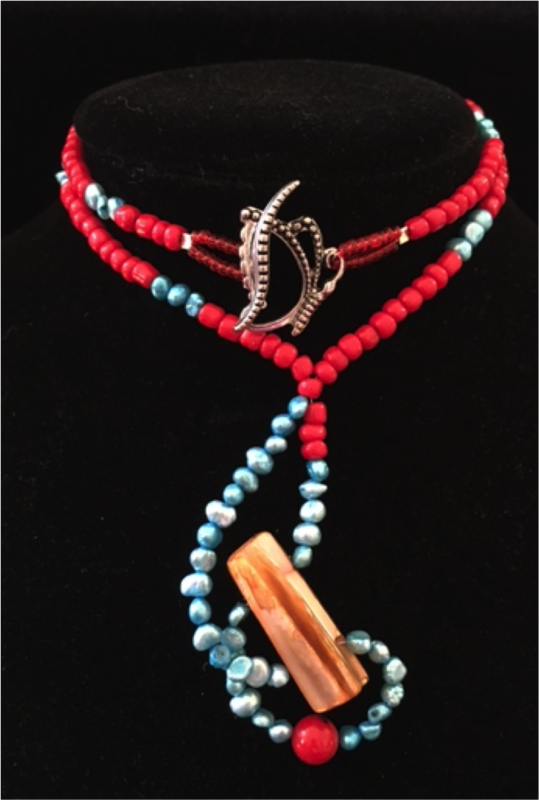 Pearls promote calmness while coral amplifies clear, balanced knowledge of self-beauty. Matching earrings available as item Earrings02.